Steve Mactaggart is an Application Delivery Evangineer who loves nothing better than working with teams that are wanting to deliver changes more frequently and with greater confidence. 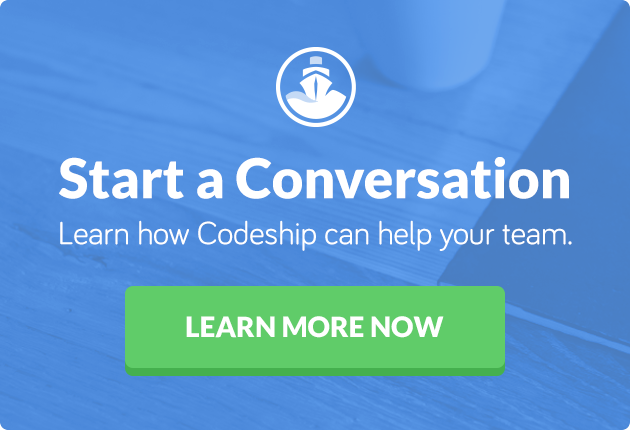 This article was originally published on Cevo’s Blog by Steve Mactaggart, and with their permission, we are sharing it here for Codeship readers. A successful devops transformation sees a change in organizational culture. These changes often come in the way of adoption of specific tools or practices. Just like the agile transformations of the past, there was a difference between ‘Doing Agile’, and ‘Being Agile’. ‘We do standups’ – therefore we are Agile. Are we ‘Doing devops’ or are we ‘Being devops’? In a classic operating model for any change to occur multiple teams, if not departments, need to come together to make things happen. As organizations grow an even larger number of teams are required until you reach a point where everyone is very busy, but little value is actually being delivered. No one aimed to build a process that didn’t work, these processes were evolved as a way to encode observed good practice. Their objective was to ensure quality through process. But blindly following a process misses the why. Too often organizations forget why they put these process in place, and start ‘cargo culting’ their delivery approach. “Why work lean” – At its heart, a Lean approach aims to increase value through the reduction of waste. One of the strongest ways to reduce waste is to challenge why we do that activity in the first place. “Why automate everything” – When we look to automate things we first need to know why we do it, this gives us an opportunity to challenge if this is a valuable step, or just a workaround for another broken process. “Why diversity” – The right balance of conflict is important to ensure the team is consistently reviewing the current approach and looking for opportunities to reduce waste and deliver more value.